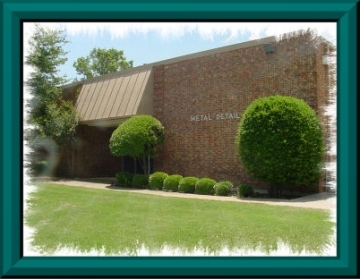 Since 1955, Metal Detail has been manufacturing precision machined parts for the oil and gas, civilian aircraft, heavy construction, medical and musical instrument industries as well as many others. Working from client specifications and drawings, Metal Detail has always endeavored to deliver high quality component parts on a timely and cost-effective basis to meet the demands of our customers. Whatever your need for machined parts, Metal Detail can deliver the exacting tolerances and quality necessary for your finished products. Contact Metal Detail today to discuss how our more than 60 years of experience and dedication to customer satisfaction can help you achieve the highest quality, most precise machined component parts for your finished product line. Contents copyright © 2006-2019, Metal Detail. Source code copyright © 2006-2017, Marc W. McCord dba CobraGraphics. All rights reserved. Metal Detail is the exclusive tradename and trademark of Woodrow and Judy Thompson. CobraGraphics is an exclusive tradename and trademark of Marc W. McCord dba CobraGraphics. The textual, graphic, audio, and audio/visual material in this site is protected by United States copyright law and international treaties. You may not copy, distribute, or use these materials except for your personal, non-commercial use. Any trademarks are the property of their respective owners. All original photographic images are the exclusive property of Metal Detail and may not be copied, duplicated, reproduced, distributed or used in any manner without prior written permission under penalty of US and International laws and treaties.